Courage is essential to change leadership. 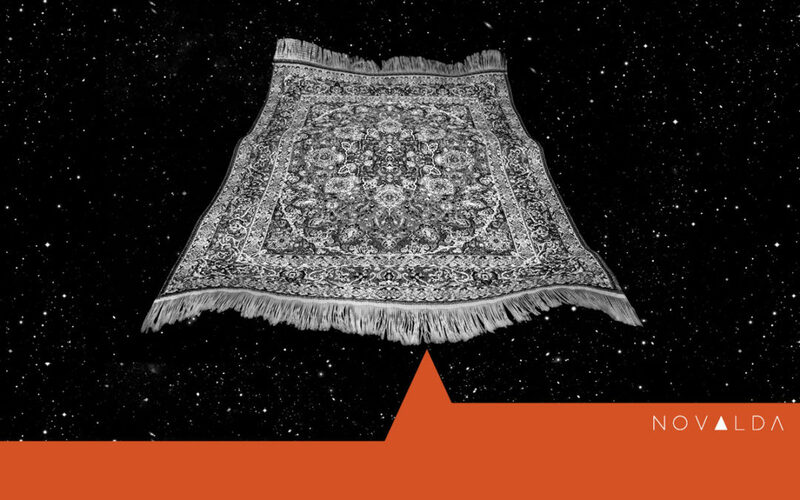 It’s a magic carpet that can carry us over the edge of change. Finding the courage to pursue your dreams by speaking them out loud takes time and practice, but it is a skill worth nurturing. I grew up in a small market town, ten miles from the Lake District in the North of England, home to The Factory and a view of the mountainous shoulders of Skiddaw. My father was an idealist, my mother a realist. When I was seven, she asked me what I wanted for Christmas. “Yes,” I said, not daring to offer more information. Santa brought me the rug. It was white synthetic goat skin, not the Persian carpet I’d had in mind. Nevertheless I hurtled upstairs to unfurl the adventure, for this was to be my magic carpet! It didn’t fly as I’d imagined it would. Sitting on my rug, I realized I should have told my Mam it was meant to be a magic carpet. I’d been scared that she would laugh, or say it was not possible. I thought Santa would help her out with the magic part! I decided that next time I wanted something, I’d have the courage to be more specific. I lay down in the scratchiness of the rug and daydreamed my way to foreign lands. Years later in London, I sat down to be interviewed for an administrative job. I hoped it would pay for my master’s degree, allowing me to do the work I dreamed of doing in Africa. The director asked what I wanted to do with my life. I gathered my courage and was specific with what I told her. I didn’t leave anything out – including my vision of living in Africa one day. Then she asked me if I could type, and if I had my driver’s license. I knew I’d lost the administrative job. Still, my courage in telling the truth paid off. The director gave me the work I’d described, a position that up to that point hadn’t existed in that organization. Six months later, I was on a plane headed for Tanzania, East Africa. Over the years, I have practiced sharing with others what I want and dream for myself and the world. It’s uncomfortable. I risk being vulnerable. I’ve opened myself up to potential ridicule and being told it’s not possible. Yet each time I find the courage to share my heart, it’s been worth the risk. I’ve discovered allies. Allies who connect with the heart of my vision. Allies that support me to go over the edge and make what’s possible a reality. My allies have championed, supported, and sponsored me. They have cheered me on, blown a trumpet for me, opened doors, and guided me in the right direction. Some have even clambered up on to the magic carpet and joined me for the ride. What visions do you hold close in your heart? Unfurl your magic carpet. Gather your allies. Find the courage to speak your dreams aloud, so that the process of turning them into reality can begin. Question | Has courage ever taken you over the edge of change?